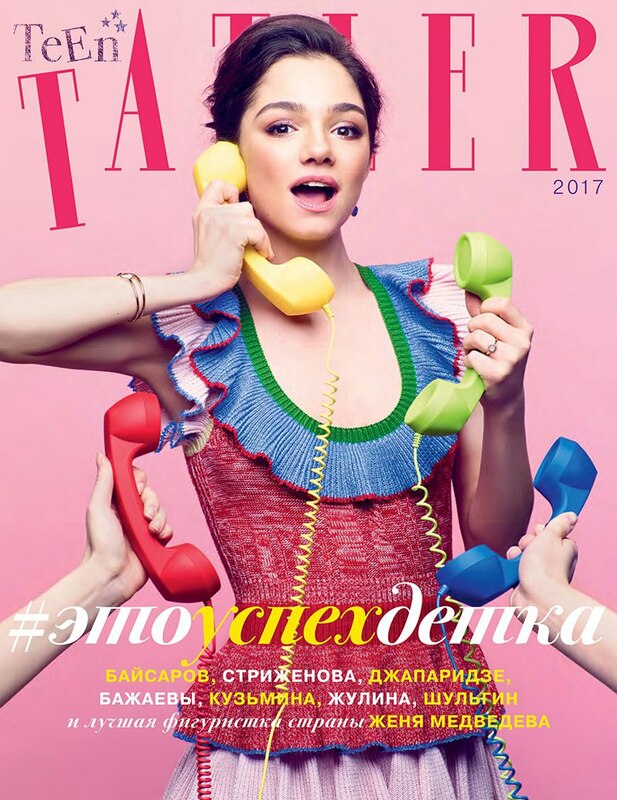 Evgenia Medvedeva’s recent photo shoot for “Tatler Teen” magazine. Maxim Trankov: I may be a good guy on the ice but a very bag guy in life. Will you translate the article as well? Acticle doesn’t say anything new. Not much about sport because it’s a fashion magazine for teens. Zhenya’s height is 159 cm and her weight is 41 kg. Does not eat cake but loves chocolate.That she has a busy schedule, only one day for school. Between trainings she sleeps or have some rest at home, she lives near the ice rink. She’s going to pass exams on mathematics and biology. Biology is the most difficultl for her. She is not recognized at the streets. She does not like night clubs. She does not have a best friend. She likes jeans, but she also wears dresses. Looking at Evgenia at WTT, seemed her legs are even more slim that were before….. I noticed that too. I think Eteri has found some way to slow puberty, but it better not become a standard procedure. It’s dangerous for these athletes. I’ve said it before: I don’t trust Eteri running that rink. Something very bad must be going on there. Aw, she looks so cute! She could be in a movie. Also I love how they styled her hair. Me too! She has such long pretty hair, you could do a lot of cool things with it. nice photos and nice dresses :) I especially like the dress in the photo with skates, but the shoot in general is good. She looks fresh and young.